To be sincere with you, I use to imagine if a phone would be sold close to 1 million but I never believe that it can come to reality not until when I saw this, scan through what it is made of and definitely it doesn’t have the power to forgive your sin nor scan through what the future hold. 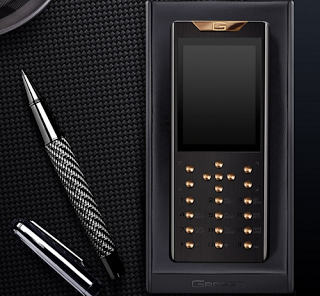 Iconic luxury phone and accessories maker Gresso announced its latest product, the Meridian Diamond Edition. The smartphone comes with an elaborate design, the body is made from a single plate of grade-5 titanium; Each key is individually encrusted with a .1kt diamond. The black edition, the keyboard is made up of 18 karat gold with a 18k yellow or white gold logo on the front panel. While for the other variant features a titanium body with a stainless steel keyboard… Will this justify the price tag $3,000 (N1050000)? Check out its technical details below..